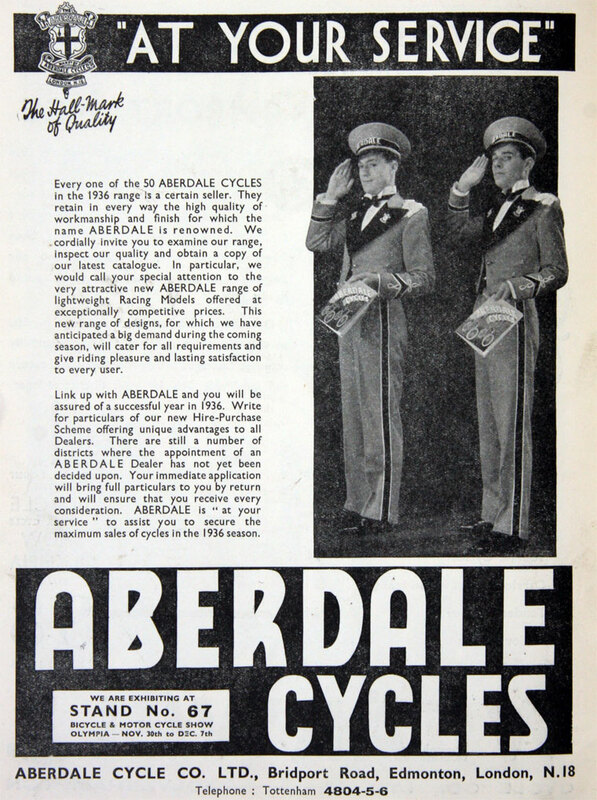 Presumably the same company as Aberdale who produced motorcycles from 1947 to 1949. 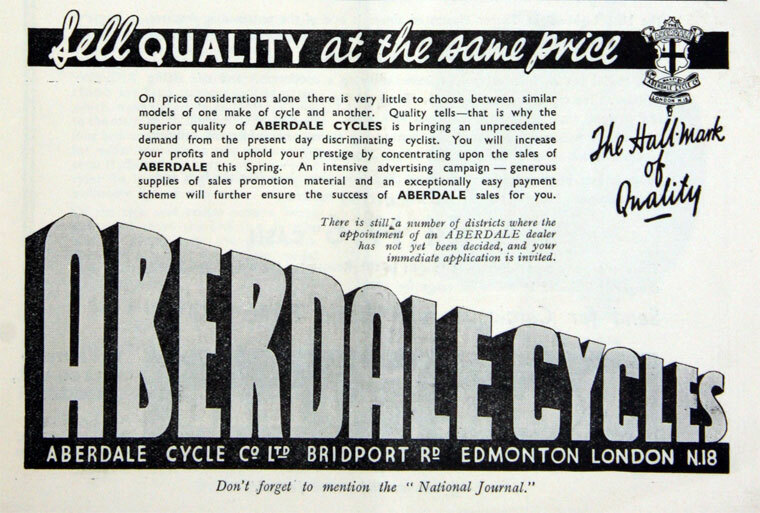 1956 Aberdale was one of Tube Investments cycle brands. 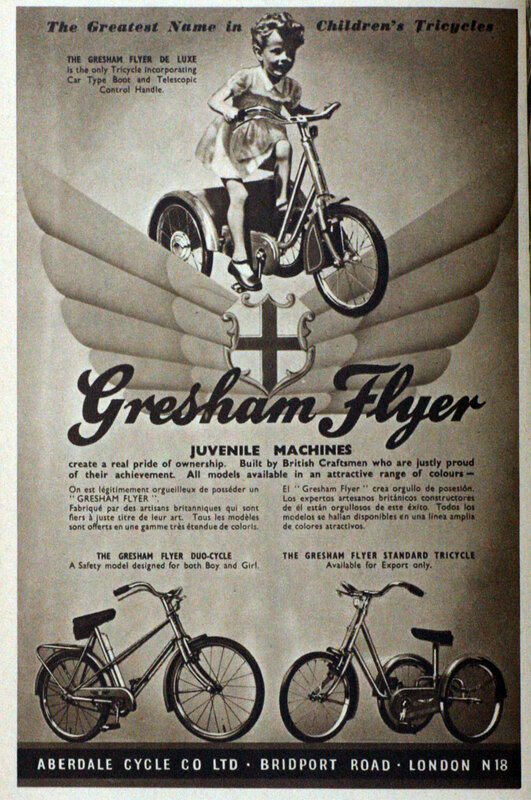 Not named as being incorporated in the British Cycle Corporation subsidiary of TI which was formed to take over and control its bicycle making subsidiaries in the Birmingham area. 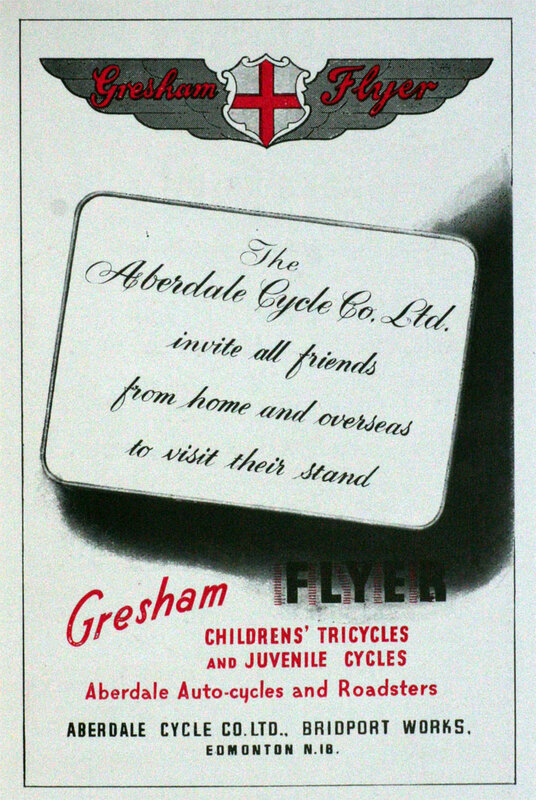 Up to 1976 Aberdale Cycle Co was a subsidiary of Raleigh. This page was last edited on 4 February 2013, at 15:07.